In this blog post, I’ll show you how I build a Windows Container Image with all the needed Office 365 PowerShell components and connect to Office 365 using PowerShell. The Image will use the latest Windows Server Core 2016 Container Image running on Windows Server 2016 Container host, however, you can also run this on a windows 10 with Docker for Windows Installed. To connect to Office 365 using PowerShell I’ll Install the latest Microsoft Online Services Sign-In Assistant and Azure Active Directory Module. 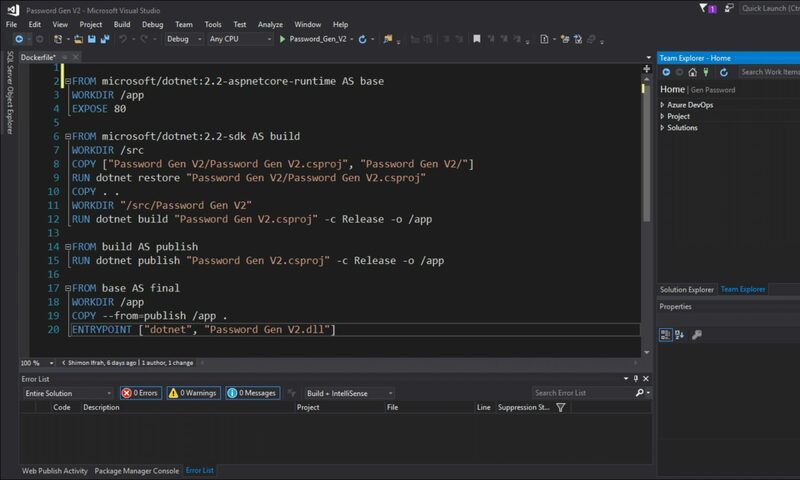 Because a Windows Container cannot prompt and start a Login Screen, I’ll use a PowerShell script that will be copied to the Container Image from the DockerFile code and handle the connection. Note: In this post, I’m using the MSonline PowerShell module (version 1) and not the AzureAD (version 2) because It has all the cmdlets for Office 365 management. $powerUser = read-host "Enter Username"
My DockerFile will use the files below to create the Image. Below, you can see my DockerFile and how I Install the Microsoft Online Services Sign-In Assistant and the Azure Active Directory Module. docker build -t office365 . Connecting to Office 365 from a Docker Container Is much easier, portable and secure solution than Installing it on a management machine. In the next article, I’ll add the option to Connect to Office 365 using the new AzureAD PowerShell which will replace the MSOnline module. Nice blog post, though i got stuck a bit ,couldnt get mkdir to work with subdirectory so basicly changed the code for that to my ex. You maybe have any smother way to do it?